Bought it with it bust and with the way it is smashed it is causing my active control shutter assembly to stick shut and my engine light comes on. My question is will a plastic welder or jb weld fix this? Find a wrecked Dart at a self serve junkyard and get a chunk of front bumper plastic. Remove any paint from that scrap chunk. Pull your bumper cover off. Use a heat gun if necessary to realign the crack to get it as close together as possible. From the backside, carefully melt and add the scrap plastic from the wrecked Dart using a solder iron. You need to use the same plastic type or it will not bond together. There are you tubes about heat welding you can watch. Since that is a clean crack, you should not need to repaint if you do all the adding from from the backside. If you align the crack together correctly, the grill shutter should not bind. My wife hit a skunk last year and it cracked her bumper. I was able to fix it the way I described. It's almost invisible. There is a really good you tube for removing the Dart front bumper cover by motor city mechanic. 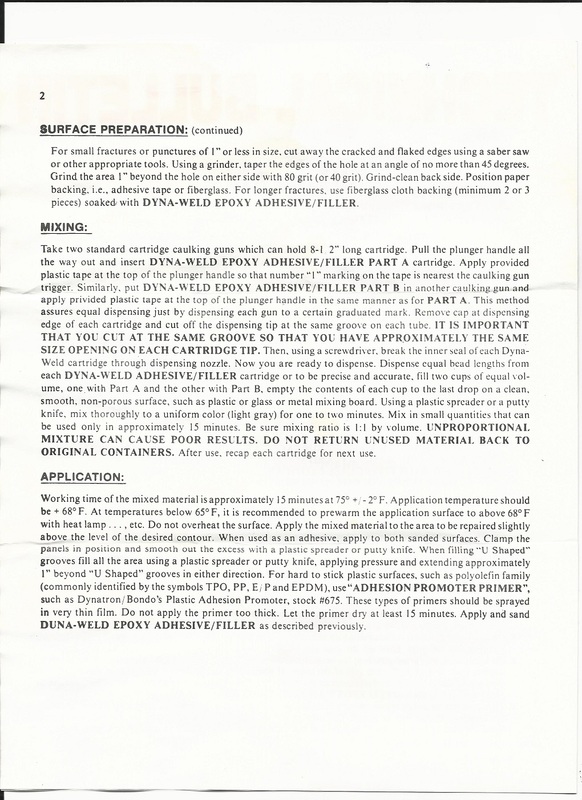 Or there are several 2 part adhesives out there that can repair that as well. Although, if you use a 2 part adhesive instead of welding like @alpinegreenneon suggested, after glue is dry you should sand the back side smooth and use a mesh fiber cloth on the backside and the 2 part epoxy to adhere the mesh to the back of cover to reinforce the area. If you AGS is effected it prob got damaged as well and you would need to remove cover and inspect regardless. From what I understand, two part adhesives are almost all epoxy based. 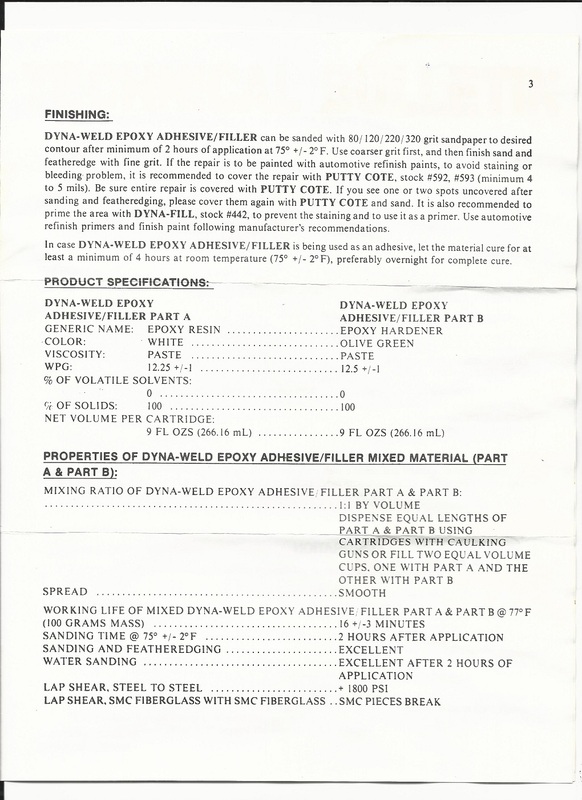 Epoxy resins are more compatible with fiberglass. The bumper plastic is not fiberglass. An adhesive for plastics should have a compatible solvent in it's chemistry but with so many different plastic formulas out there, there is no one adhesive for every plastic. With enough bulk from behind combined with a mesh, the two part epoxy repair should be ok. However, I think using the same plastic should have a better chance of lasting. Using a solder iron melts the original bumper as well as the scrap plastic and since they are the same, the two melt together. 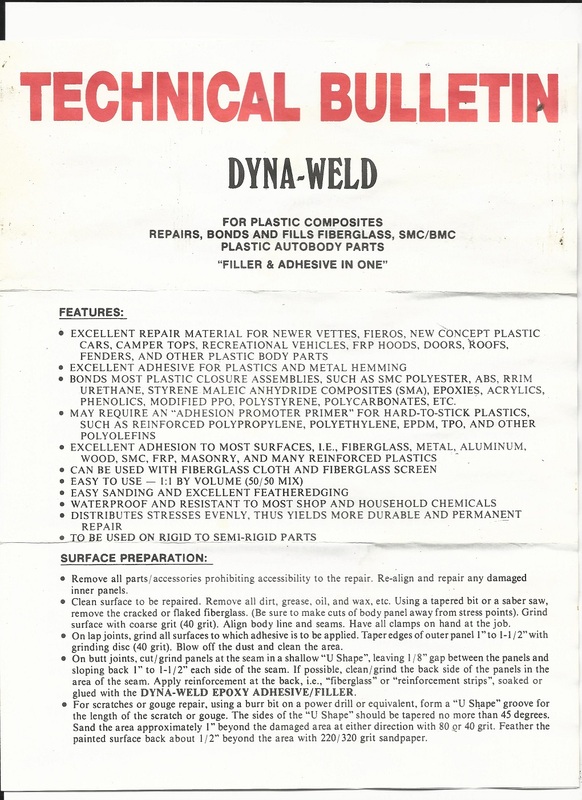 There has been a wide variety of plastics used on bumpers over the years. Some are more flexible, while others are more brittle. My Neons bumpers were very flexible compared to the Darts. The scrap piece I got at the junkyard was free. 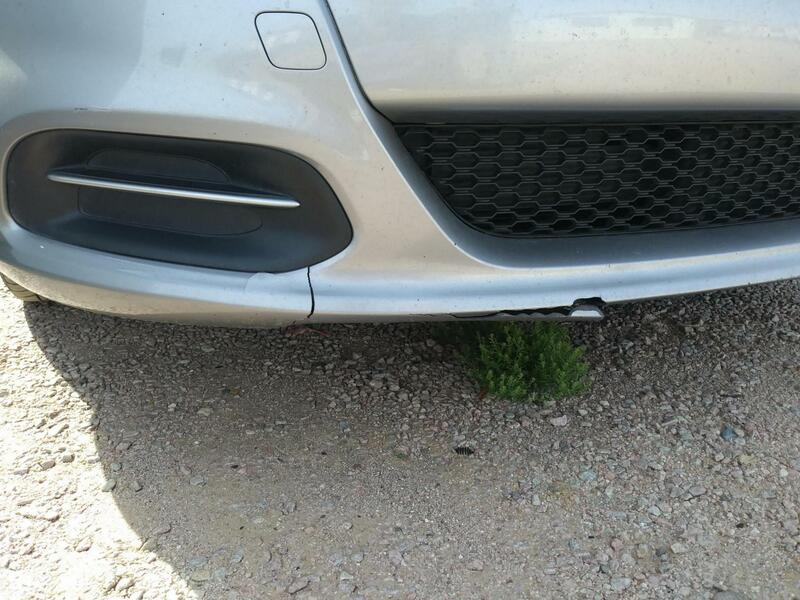 I think you also have to take into account that if you are taking the time to remove the entire bumper, take the time to perform the best, most reliable, fix. You don't want to be removing that bumper multiple times. Coming from a body work background, I sometimes forget that I've had over 30 years to experience exactly what you're talking about. 20 years ago it was very hard to find a 2 part adhesive that would do individual formula bumpers well, let alone one adhesive that would do them All! 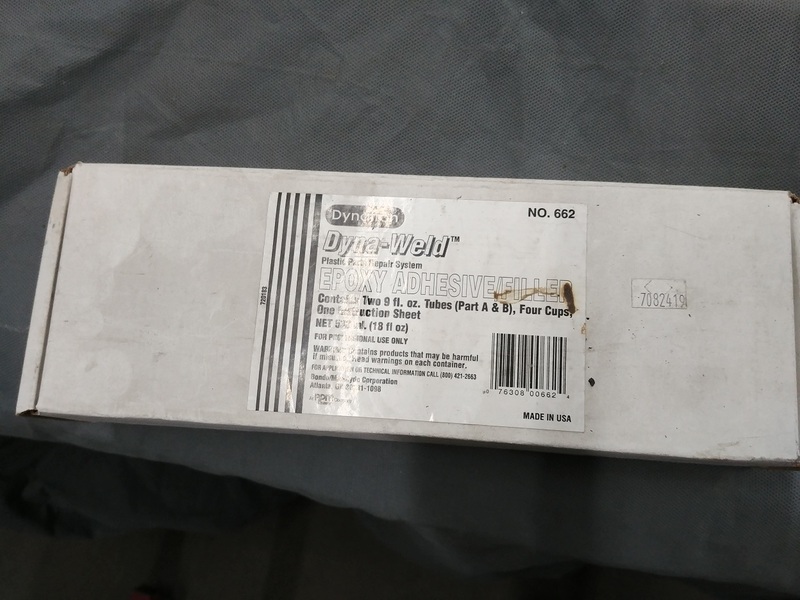 Dynaweld is one of those adhesives. It has a long set-up time (I always leave it overnight) but I have never had a single failure on Any bumper regardless of composition. Having said all of this, it's because of my experience in the field and going through products till I found one that Worked. The general public doesn't get that same chance. @ig2mdThwifsDart , I tried to find more info on Dynaweld. Google says its a roofing shingle adhesive sheet? Do you have a link? Last edited by alpinegreenneon; 03-21-2019 at 10:21 PM. Getting harder to find all the time! This was one of those old school products that just plain Worked, but it wasn't Fast, and the industry always wants Fast! 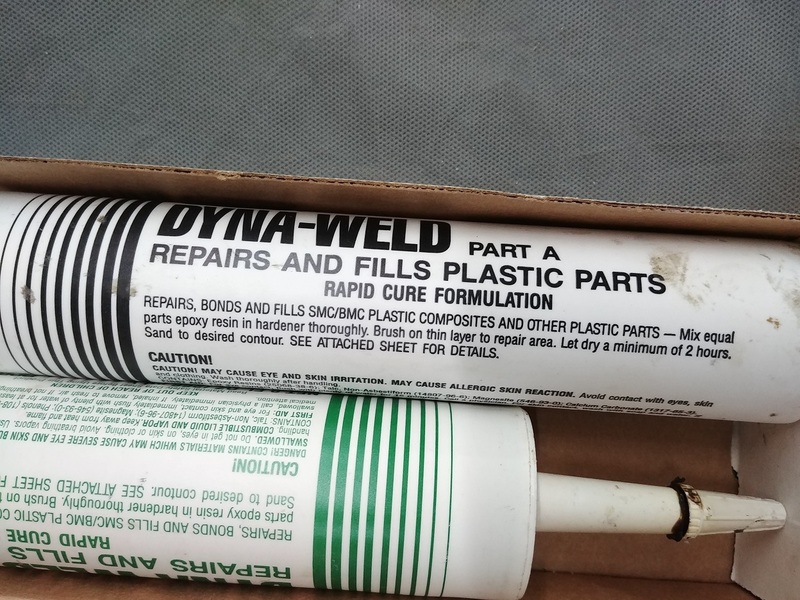 I use to buy a kit for 25.00 CND, and it's the full sized caulk gun tubes, so think of the quantity vs the little 2 part repair packs that were coming out with their own mixing straw and mini gun. I had my supplier special order it when they stopped stocking it because everyone was going to faster setting stuff I guess. Then it disappeared and I was running out (had bought 3 kits). Was one of those things where you're thinking Dang, Really? Something that good and that cheap and no one uses it? (supply and demand)Then it made a comeback but now 58.00 was the cheapest I could find it, but it was everywhere, like all of a sudden the industry recognized it's quality. So I got 3 more kits. I'm sure it use to be on ebay and in the US, but not 100% Certain. Maybe only a CND thing? 2013 dodge dart rallye 1.4L. front end damage. need ideas, upgrade or not? 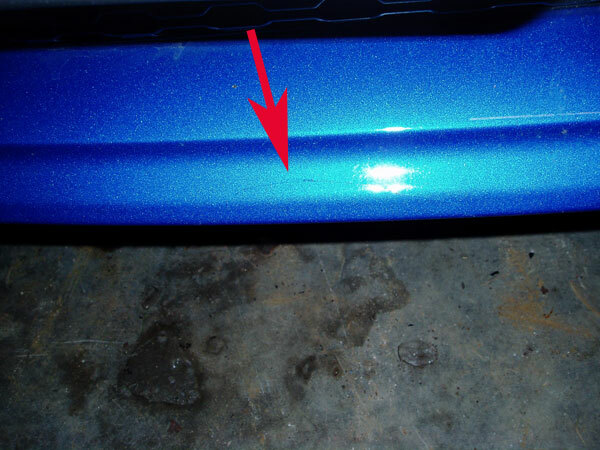 How To Protect Front Bumper From Damage?